UPDATED: Wed., July 25, 2018, 9:28 p.m.
Trainer Bob Baffert and Justify’s owners said caution over the horse’s ankle condition made it impossible to tell if he’d be healthy enough to race by the fall. Baffert said Justify wasn’t responding quickly enough to treatment to be able to race in the next few months, so the decision was made to retire him. The goal was for Justify to run in a major race this summer, likely the Travers Stakes at Saratoga, and be pointed toward the $5 million Breeders’ Cup Classic on Nov. 3 at Churchill Downs. Instead, he was taken out of training earlier this month because of swelling in his ankle. Justify won all six career starts, becoming the first horse since Apollo in 1882 to capture the Kentucky Derby after not racing as a 2-year-old. He won the Preakness and Belmont Stakes to become the 13th Triple Crown winner and second in the past four years after Baffert’s American Pharoah. Walden said it’s possible Justify’s stud rights will be sold to Coolmore but added that won’t be finalized until a later date. 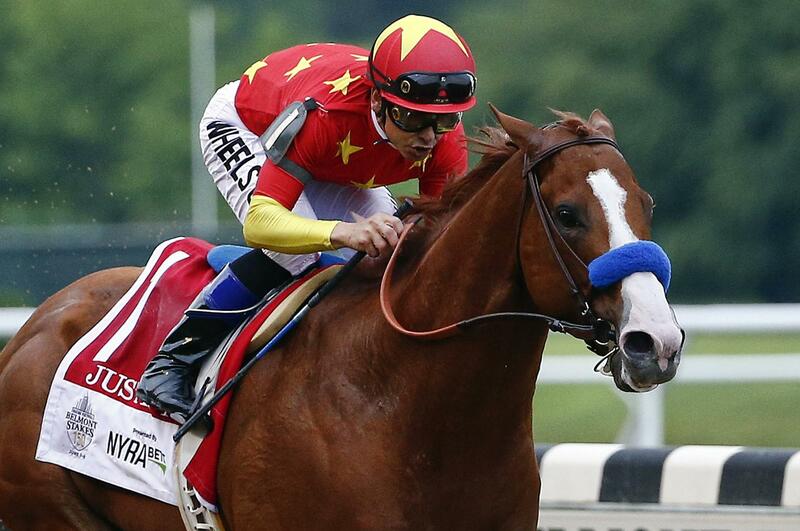 Justify is expected to return to WinStar Farm in Kentucky next month. Published: July 25, 2018, 1:51 p.m. Updated: July 25, 2018, 9:28 p.m.